Smoking is not only a healthy but also one of the tastiest ways to prepare any kind of meat, and fish is no exception to that. Smoking gives the meat a tantalizing aroma and taste which you will not find in any other methods of cooking. Salmon is a fresh water fish which is filled with nutrients and has many health benefits. It is packed with proteins, Vitamins, and Omega 3 fatty acids and taste great as well. Consuming salmon has been known to boost cardiovascular health, skin, hair and eye care, muscle and tissue development among a hoard of other health benefits. No wonder salmon is known as the ‘king’ of all fishes. Smoking is an effective way to preserve your fish for a longer time and also gives the meat a wonderful aroma and flavor. The best part is, smoking allows the nutrients to remain intact in the fish and you get the best of all its benefits unlike slow cooking. Read on to find out the method of making smoked salmon and also how to store it for further use. This traditional style of making mashed Brinjal or Eggplant is a favorite dish in all Indian households. 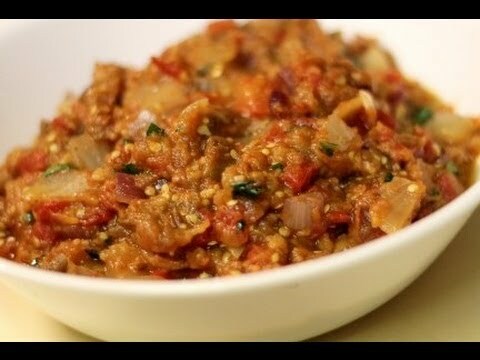 Baingan ka bharta is famous for its unique taste and flavor and is a much healthy food unlike other Indian recipes which uses a lot of oil and spices. The eggplant which is the main ingredient in this dish is rich in dietary fibers and Vitamins like B6 and C. It is also roasted which ensures that all its essential nutrients are preserved. It is low in fat content, making it a delightful preparation for both the taste buds as well as the waist line. The below recipe uses less spice and oil but you can add more spice if you want to add a little more flavor to the dish. It makes a serving for two. Mousse might have been a concoction invented by the French, but its popularity now is world-wide. This light fluffy dessert can give your taste buds a sure relish and once tasted, you have the risk of turning into a sure addict. There have been different variations of mousse both in texture and flavors which have been tried and tested by pastry chefs across the world, but chocolate still remains the popular choice. The original chocolate mousse earlier prepared as a specialty in French restaurants have given way to a whole range of other flavors like strawberry, vanilla, mocha, pistachio, pumpkin, lemon etc, just to name a few. Also, the consistency might vary from thick and frothy to light and fluffy, to creamy, depending on the preference. Whatever the flavor or texture, this is one dessert which you don’t want to waive off to save your waistline. Although chocolate is the preferred flavor of mousses, you can use any number of variations of your choice. The below recipe serves eight portions and uses fresh strawberries which gives the dessert it a delectably, tangy flavor. But if fresh strawberries are not in season, you can use strawberry syrup instead. Pork chops, a delight to even the most seasoned taste-buds are prepared in different variations and flavors across the world. Lot of different flavors and sauces are also added according to taste and preference to make the dish richer and tastier. Herbs and crusts of bread or biscuit are also added to give it a crisp coating. 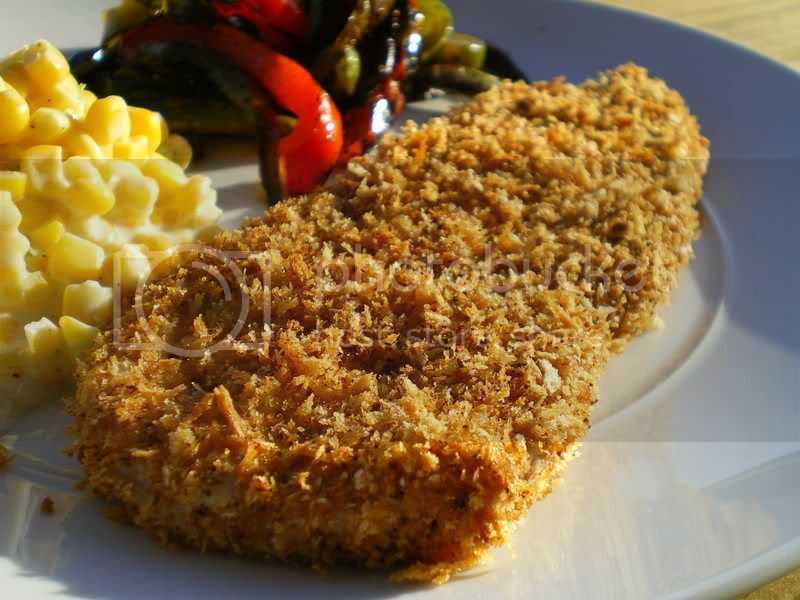 Even though the fried variety of pork chops are more popular, however the baked variety is also gaining a lot of preference and popularity. Baked pork chops are not only healthier than its fried counterpart but also succulent and tastier as the baking helps the chops to retain its juices. Here is a simple, easy to prepare recipe of bakes pork chops which can be served with rice in the main course. Pot roast has its originality claimed by the Americans and many believe it to be a Southern dish and the rest claim it to be of Northern origin. It is said to have been first prepared during the 1880-85's. But originality aside, it is allegedly claimed that the aroma of this delectable Grandma’s recipe has the power to make even the dead rise from their slumber. Once tasted, a person cannot forget the taste of the succulent meat or the flavor of the spices and the gravy. The traditional way of making pot roast might however die a slow death over a period because of the hectic lifestyle of the new age. The current generation seems to have lost the time and patience to appreciate slow cooking, but this is one recipe which will be a big loss to all, if it is lost. Traditionally, pot roast is a brisket of meat (originally beef was used), slow cooked over a covered pot and served with its own gravy. But over the ages there have been many variations due to the difficulty in getting the meat and also because of the time factor. Some also prefer the oven or pressure cooker over the crock-pot or stove-pot used for slow cooking. The below recipe is a modification of several old recipes of pot roasts and uses the old slow cooking method.